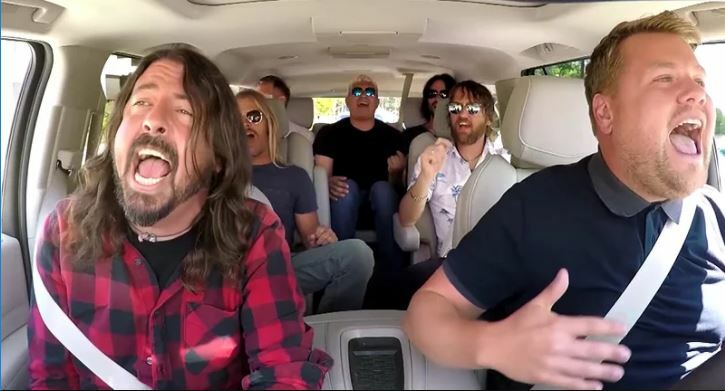 Carpool Karaoke, awkward? Get out. How could being in a car with James Corden and his fake laugh ever be awkward? According to nicest-bloke-in-rock Dave Grohl and his band Foo Fighters, quite. In the condensed 12-minute video, the band and presenter Corden seem to be having a whale of a time, zipping around in the LA sun. But the reality was a little more elongated. By hour three in dude’s car it got less fun. It kinda went on. When we stopped at Guitar Centre, that felt like we were done, but it was like ‘this is halfway’. 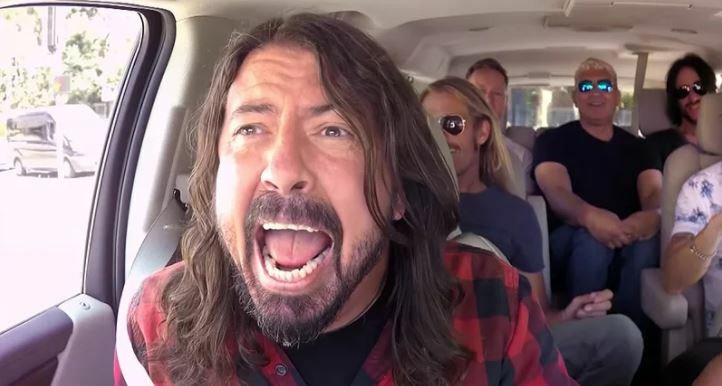 Grohl added that it was ‘a little uncomfortable’ but didn’t question Corden’s sincerity. Oh he definitely is [a music lover]. And he’s a very nice guy. But y’know, I don’t mind singing my own songs at Glastonbury or The 02 but if I had to sing you a song right now I’d be too embarrassed. Smear added that singing other people’s songs would have been a lot easier. I could do that all day. We did The Ramones, and Rick Astley, but they didn’t use it. I don’t know why. Foo Fighters announced last month they were opening a pub in London to celebrate the release of their new album. Doors to The Foo Fighters Arms opened from Friday September 15 – to last orders on Wednesday September 20 – in celebration of the release of their ninth album Concrete and Gold. Not only were there Foo Fighters beers, but also exclusive merchandise. The band made their announcement on Twitter, showing the pub’s logo of two dragon skeletons holding a coat of arms. Pretty standard, as you would expect from the Foos. And the pub, which was located at 339 Cambridge Heath Road in the capital, also hosted a pub quiz, with exclusive prizes handed out. Dave Grohl admitted prior to the release of their latest album Concrete and Gold that Justin Timberlake was the mystery pop star who sang on the band’s new record. We’d drink whiskey in the parking lot. He was really, really cool. 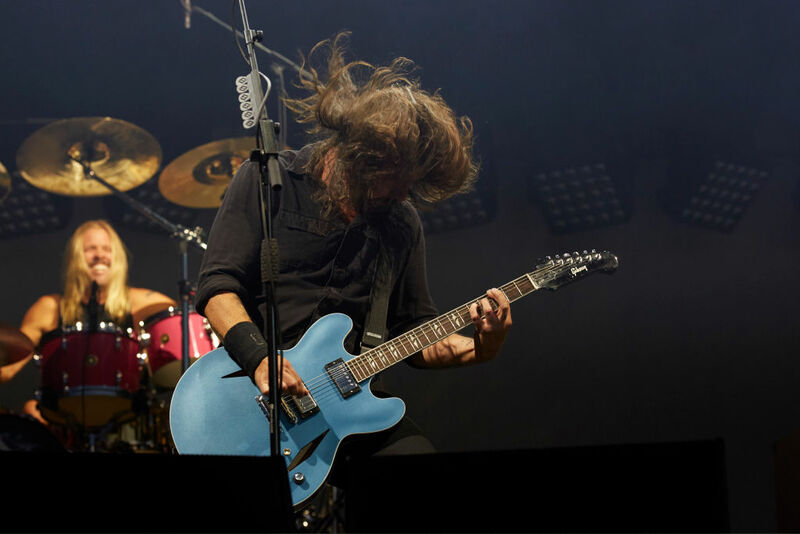 The Foo Fighters will headline their own festival, Cal Jam, this weekend alongside Queens Of The Stone Age, Liam Gallagher, The Kills, Wolf Alice and others. It takes place at Glen Helen Regional Park at San Bernandino.